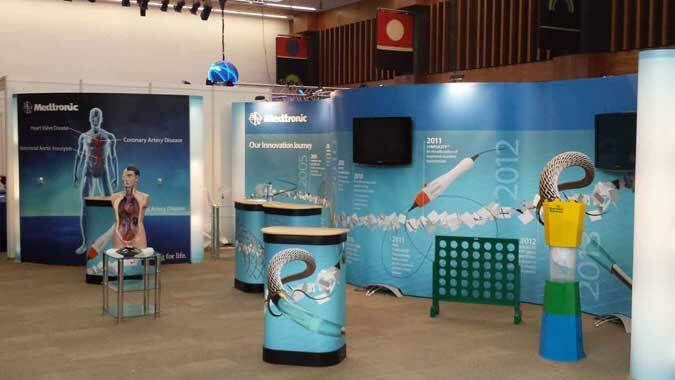 Trade shows and exhibitions have the potential to be uniquely rewarding and beneficial for business at all levels and spanning all sectors. That is of course assuming that all goes to plan – these kinds of events don’t in their own rights guarantee success and prosperity, but rather open the door to both. Following on from our Bewitching Tips for Successful Exhibitions guide, we focus more closely on the preparation for a show. As is the case in most areas of business, planning represents the key factor in determining how things will go down on the day. Put simply, there’s really no such thing as being over-prepared when it comes to trade shows and exhibitions – being under-prepared on the other hand is almost guaranteed to seal your fate. Here at RAL Display, we’ve worked with hundreds of businesses and helped plan thousands of trade show and expo appearances over the years, so what have we learned about the preparation process? First up, it’s impossible to overstate the importance of actually researching the relevant shows and deciding which make the most sense for you and your business. Just as there’s usually nothing to gain by instinctively standing every show that comes around without thinking, it’s also not always helpful to target only the biggest-brand-name shows, expos and exhibitions. Research all options before shortlisting shows of interest, ultimately narrowing things down to ideally-suited events. There’s nothing to say that you have to spend a small fortune on standing at an expo, but at the same time you cannot expect to create a stellar presence for peanuts. 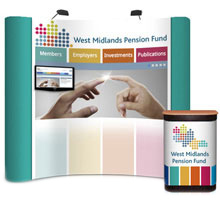 Here at RAL Display, we’ve worked tirelessly to put together a range of pop up stands, Banners and Counters the likes of which can really make the best of your expo budget. Try to remember however that budget considerations must also include the size and location of the space for your stand, transportation, accommodation, giveaways, staff payment and so on. There are two very important reasons why you absolutely must book early – the first of which being to ensure that you can choose a prime space within the event hall. Location really does make a huge difference, so don’t run the risk of being shoved into a dark corner at the back. In addition, the moment you make your booking and commit to the event, the quicker you can start researching past events, competitor line-ups, promotions so you can know what to expect at the expo and so on. Don’t fall into the trap of assuming that just because an expo is a marketing event, this means you don’t need to market your presence. Of course, the ideal result is that you’ll pull in a ton of new business on the day, but don’t forget the importance of your existing customers/those who know who you are. Let the world know not only where you’ll be and when, but why they simply must pay you a visit. We always advise our clients to have something of a ‘dry run’ before the big day itself. 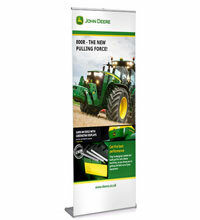 The simple reason being that your trade show booth will represent the first and in some cases the only impression hundreds of target audience members take home about your brand. 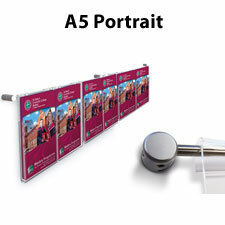 Suffice to say, the more eye-catching and professional the stand is, the better. Have a think about things like TV Stands, stands with interactive Tablet PC holders, bright Pop-Up Banners and so on – anything that makes sure you cannot (and hopefully will not) be ignored. One of the biggest and most common mistakes of all when it comes to less-than successful expo attendances is that of not having planned and prepared a pitch in advance. It’s of critical importance in the run-up to the exhibition to not only identify exactly what it is you intend to achieve, but to set very specific goals and outline how you intend to make it happen. From what it is you are offering to how this will be communicated to audience members to the provision of literature, special offers, free gifts and so on, to try and tackle these kinds of events without a comprehensive game plan is never a wise idea. Last but not least, it’s also of pivotal importance to put plenty of time and thought into the matter of exactly whom you will choose to represent your business and your brand at the event. As these will be the individuals that give all target audience members their first real insight into who you are and what you do, the team needs to be made up solely of those who live, breathe and have real passion for your brand. Suffice to say, it’s a job best-suited to owners, managers and brand executives – those with everything to gain from putting on the show of their lives.